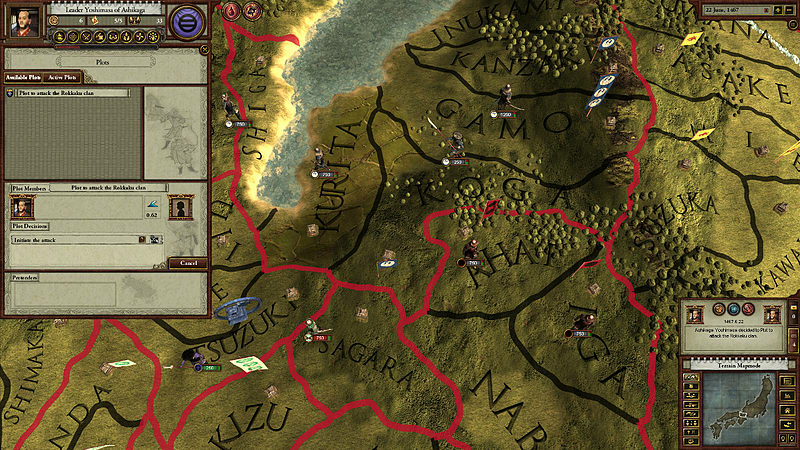 Rise to power in Feudal Japan with your Samurai family in this epic Grand Strategy title. 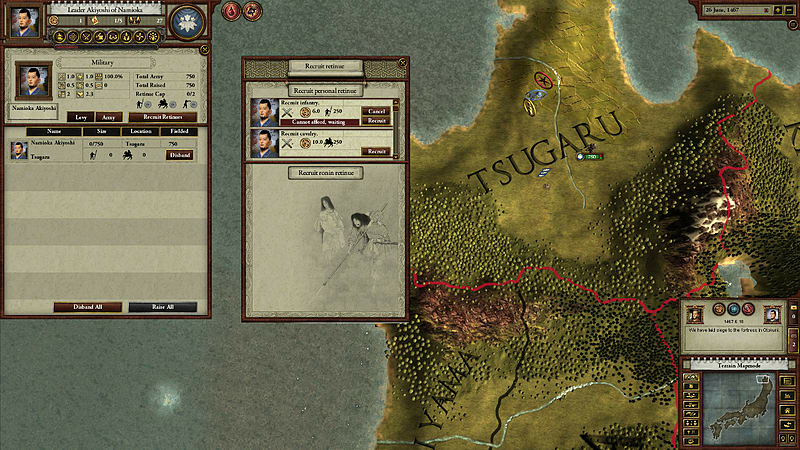 A deep character driven strategy game set in 16th century Japan. 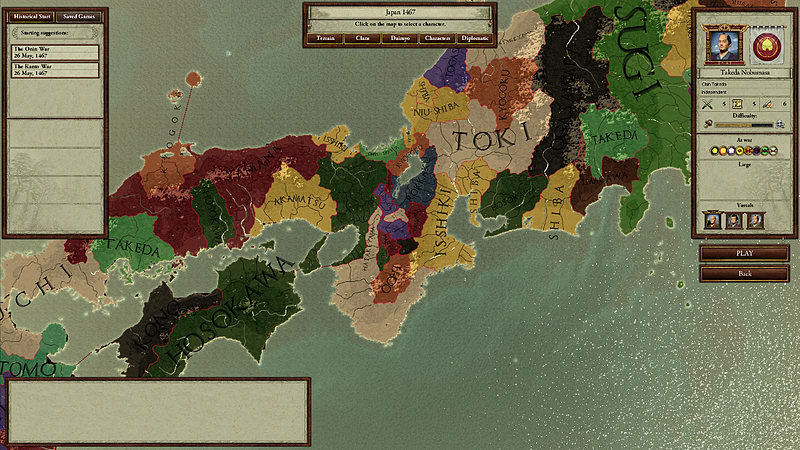 Play as a Japanese nobleman and unite the land of the Rising Sun under your iron fist. Use your military might, your smooth talking tongue, and your guile to increase your power. Watch your enemies fall like cherry blossoms in the early dawn of spring. Doublecross your enemies in an honorable and auspicious manner. Always make sure you have competent heir, if you should die before your destiny has been reached. 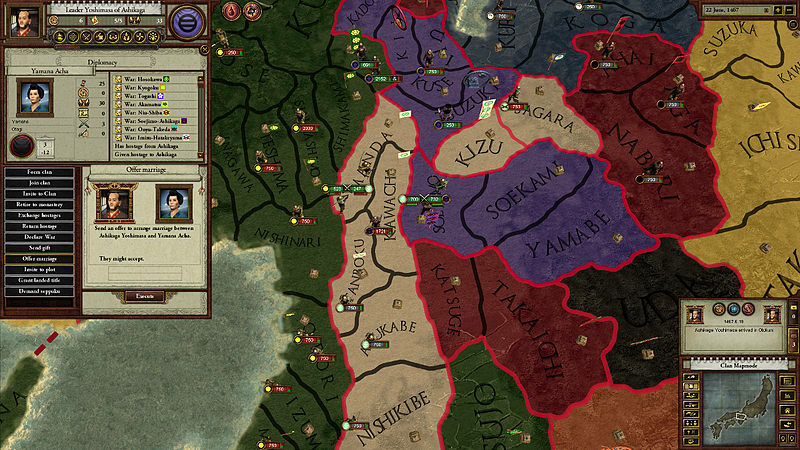 Play as a Feudal Japanese Lord and manage your relations with family, friends and enemies. 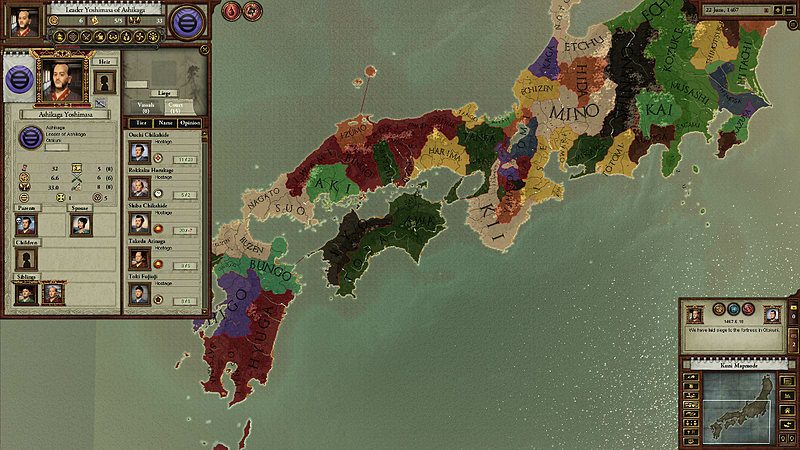 Rise in influence and power inside your clan and then move on to claim the ultimate prize, the control of Japan. 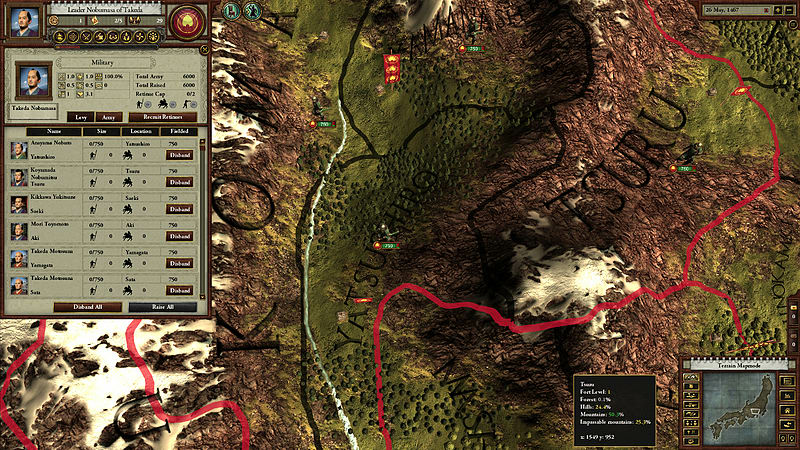 Conquer and grow while rewarding your most valued retainers as you make a bid to become Shogun. Detailed historical map of Japan, divided into over 350 different provinces, during the Warring States era. 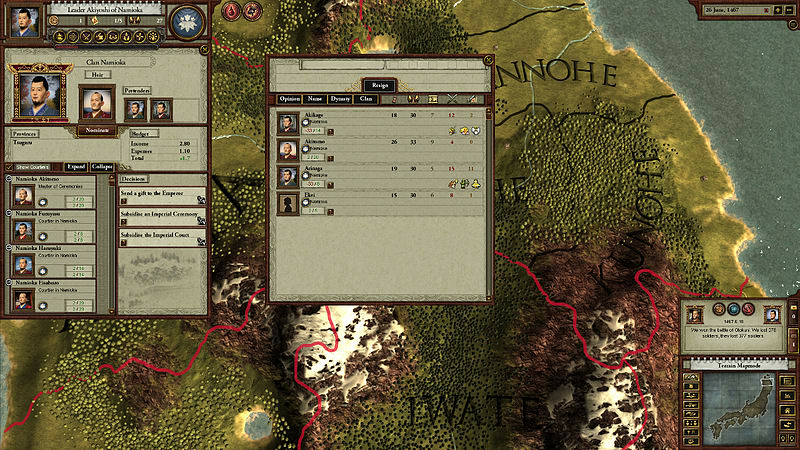 Manage your relations with three different religious factions, the Shinto, the Christians and the Buddhists. 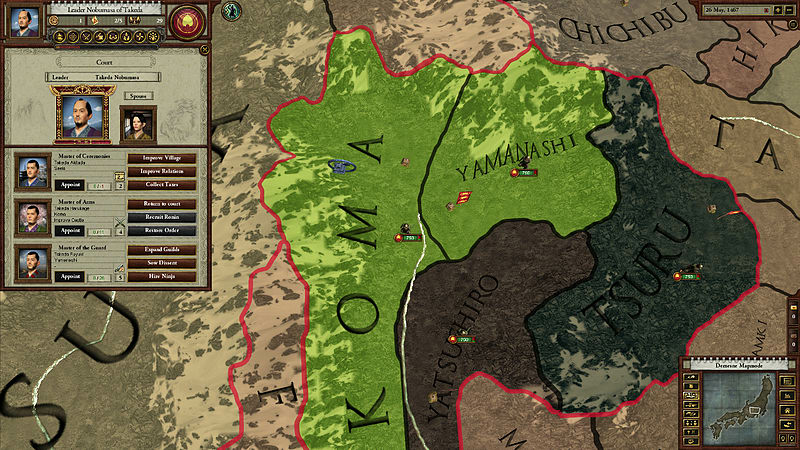 Employ the aid of powerful Ninja clans when your Samurai armies are not enough.